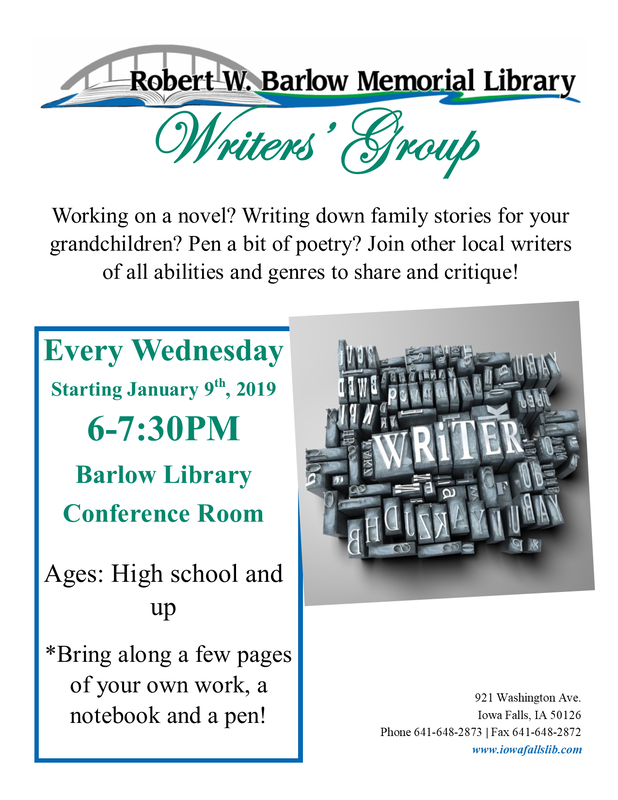 Join us for a casual writers' workshop to spend time with other writers and fuel your creativity! Meetings will be held from 6-7:30pm in the Barlow Library Conference Room every Wednesday, starting January 9th. Ages teen to adult welcome! 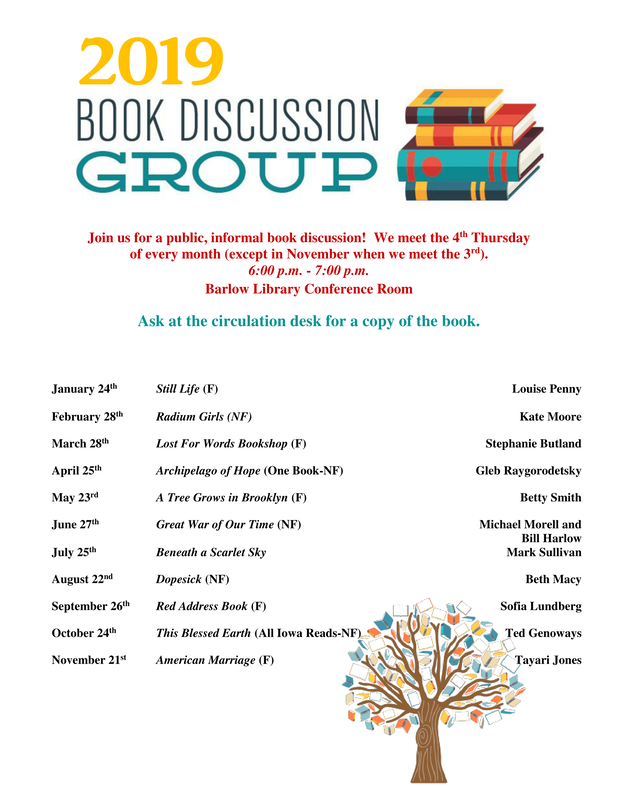 Book Talk is a public, informal book discussion group. The books are not on the book shelf the month we are discussing the title. Ask at the circulation desk for a copy of the book. We meet the 4th Thursday of the month (except in Nov. when we meet the third Thursday) from ​​6:00 p.m. - 7:00 p.m. in the Conference Room. Click ﻿here﻿ for book title list for 2019. Join us for a yoga class to kick off 2019 at the library, led by Terry Tikovitsch.